Valentine's Day is right around the corner and one of the sweetest parts of the holiday is making DIY cards with your children. The very idea behind giving Valentine's Day cards is to tell your friends how much you like them and it's a holiday where creativity always shines through. 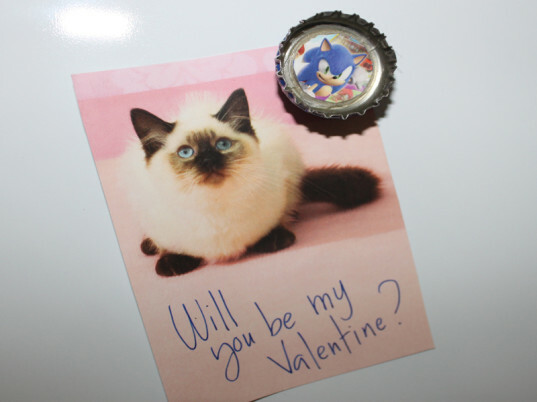 And making unique DIY Valentine's using recycled items is super easy, affordable and fun. This year, my son and I decided to make fun Valentine magnets for his friends using bottle caps. It's an easy craft, and one that many kids can do entirely on their own, (younger children will need help with the hot glue). Plus, my son had a blast finding tiny pictures to use. Read on to learn how to make these simple, recycled bottle cap magnet Valentines this weekend. I gave my son a stack of junk mail and asked him to find tiny pictures that would fit inside the bottle caps. 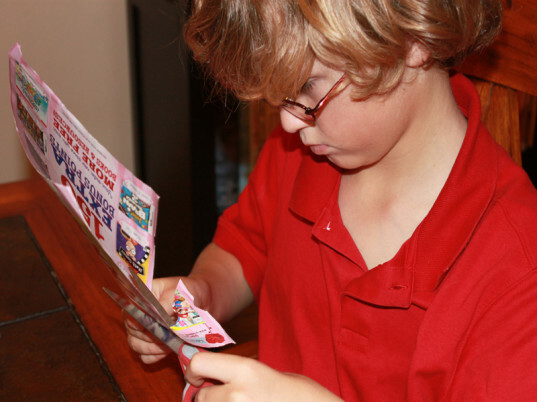 He especially enjoyed picking out pictures from the book order form from school. 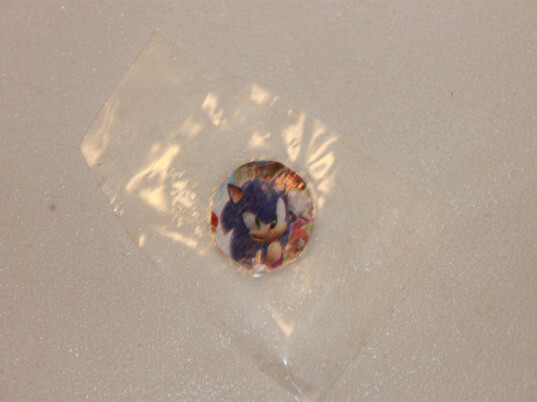 He used a small round magnet as a template and traced around the pictures that he wanted to use. 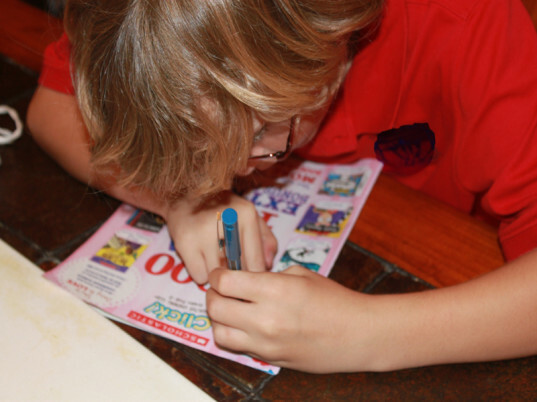 Give your child a pair of scissors and let him go to work cutting out the tiny photos, one for each Valentine he plans to give. 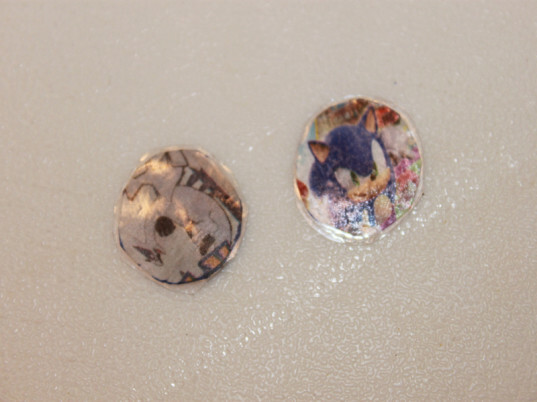 Using two small pieces of eco-friendly tape, laminate the tiny pictures. Again, let your child cut the laminated pictures out, making sure he doesn’t cut too close to the edge (or the tape will come undone). 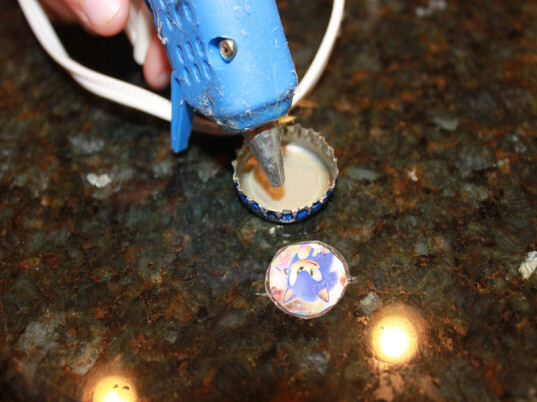 Add a small dollop of hot glue to the inside of a bottle cap, then add the tiny picture. 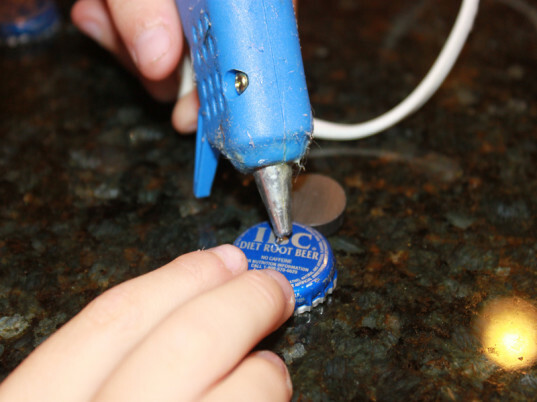 Turn the bottle caps over, add another dollop of hot glue to attach the magnet. Again, let your child cut the laminated pictures out, making sure he doesn't cut too close to the edge (or the tape will come undone). Place each magnet inside a mini-envelope with a cute saying attached. For example, "Your friendship is Magnetic!"